The last few years have seen an enormous amount of excavation in Laodicea. It is still ongoing, as Ferrell Jenkins and I saw several sectors of the very large tel that had teams of workers. One site of importance is the restoration of a pagan temple which reflects some of the wealth and splendor for which this city was famous. Remember God had His people here in Laodicea also, and they were the recipients of the 7th of the Seven Letters (Rev. 2-3). 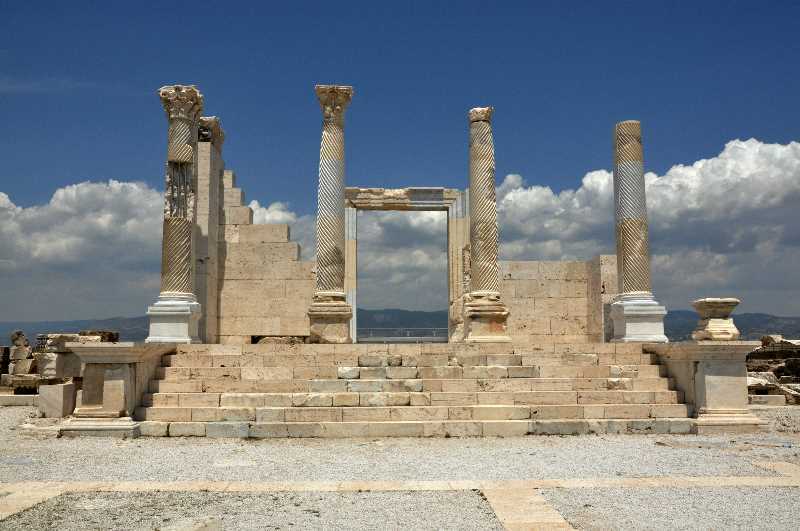 Pagan Temple at Laodicea. Photo ©Leon Mauldin. At the back of the temple there is a clear platform through which you can look down and see more excavation several meters below. Ferrell Jenkins behind temple. 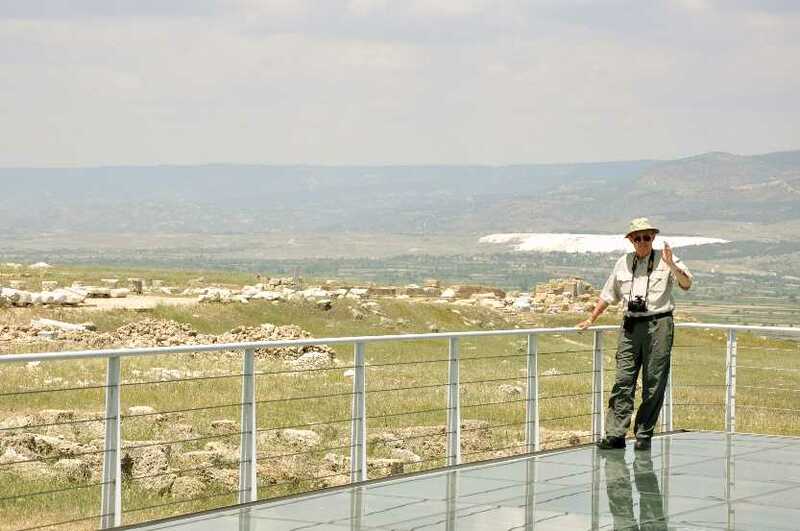 The white spot behind (6 miles distance across the Lycus Valley) is Hierapolis. Photo ©Leon Mauldin. 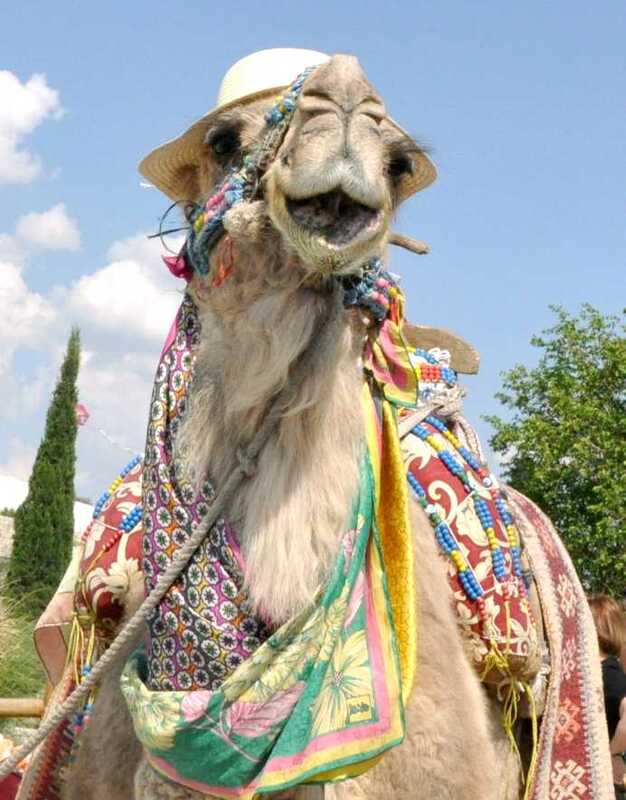 On the lighter side I present you with a camel photo. 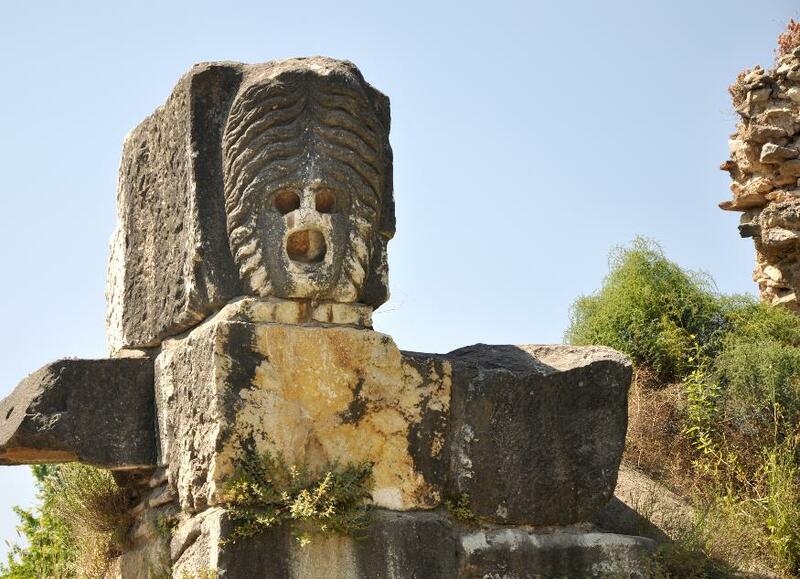 Happy Camel at Hierapolis. Photo ©Leon Mauldin. May I say it’s good to be back in Sweet Home Alabama! One of the many benefits of traveling to the lands where biblical events occurred is that of gaining insight into just how pervasive idolatry was. It has always been necessary to make a choice of who you will serve (Joshua 24:14-15). Temples devoted to many gods abounded. The Gospel reveals the true God who claims exclusive service and worship to Him alone. 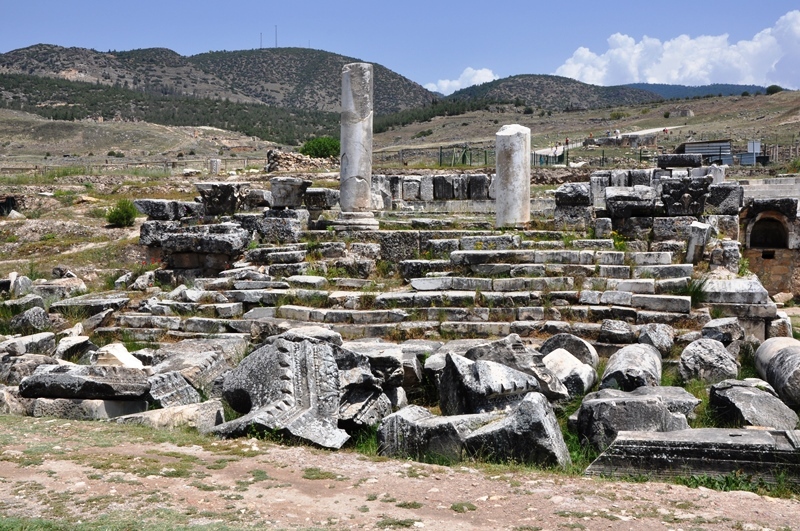 At Hierapolis one can view the ruins of the temple of Apollo. Temple of Apollo at Hierapolis. Photo by Leon Mauldin. Currently at Istanbul, we look forward to our flights home tomorrow. Today was devoted to exploring Hierapolis. I think today was the hottest day of our trip, and we did a lot of walking. There is a lot to see here. Epaphras, who is one of you, a servant of Christ Jesus, greets you, always struggling on your behalf in his prayers, that you may stand mature and fully assured in all the will of God. 13 For I bear him witness that he has worked hard for you and for those in Laodicea and in Hierapolis. Every significant Roman city ordinarily had a theater. 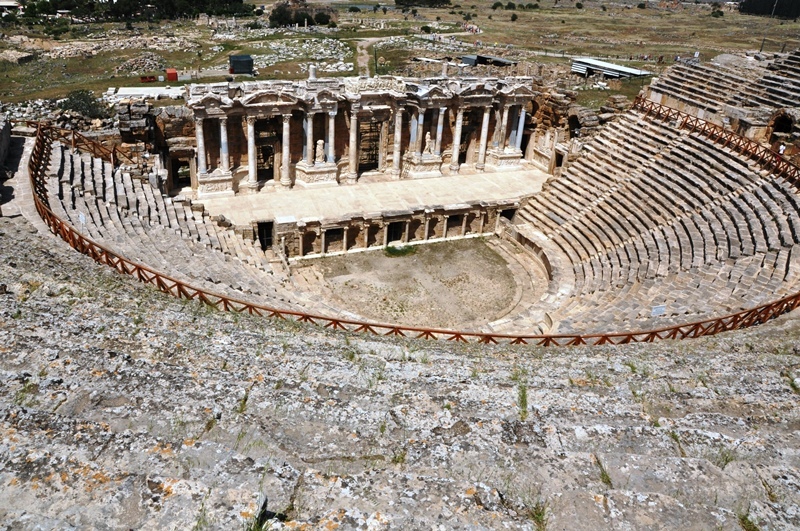 Hierapolis Theater. Photo by Leon Mauldin. 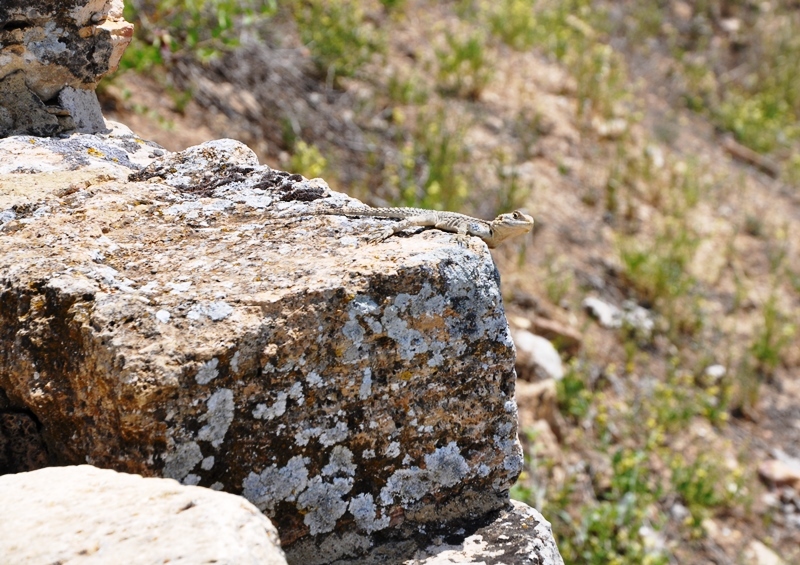 Gecko at Hierapolis. Photo by Leon Mauldin. 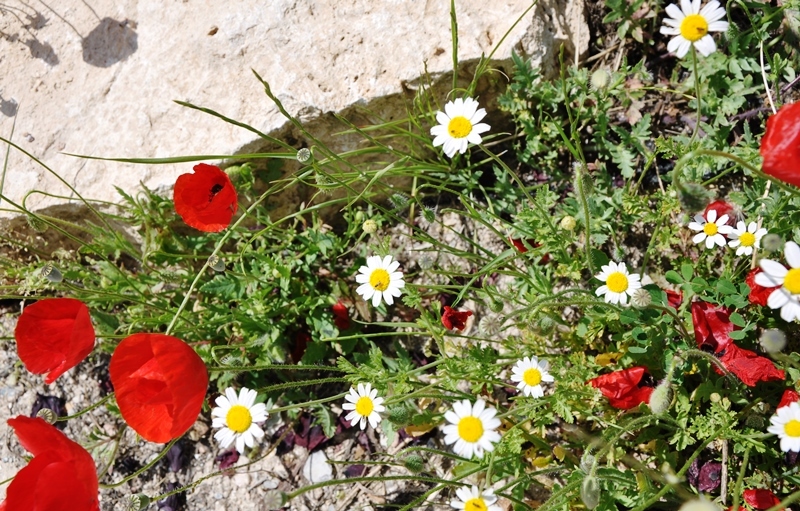 Wild flowers at Hierapolis. Photo by Leon Mauldin. Today wraps up this photo/study trip for various sites in Turkey for Ferrell Jenkins & me. 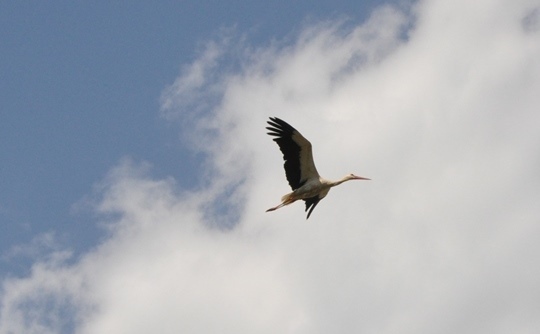 We have made several trips of this nature, and I always enjoy them and learn a lot. Tomorrow morning is a 4 hr. drive back to the airport at Antalya and then a flight to Istanbul and homeward bound from there. Bible students think of Haran (today’s spelling: Harran) as temporary home to Abraham (Gen. 12:4) after he left Ur but before arriving in Canaan. 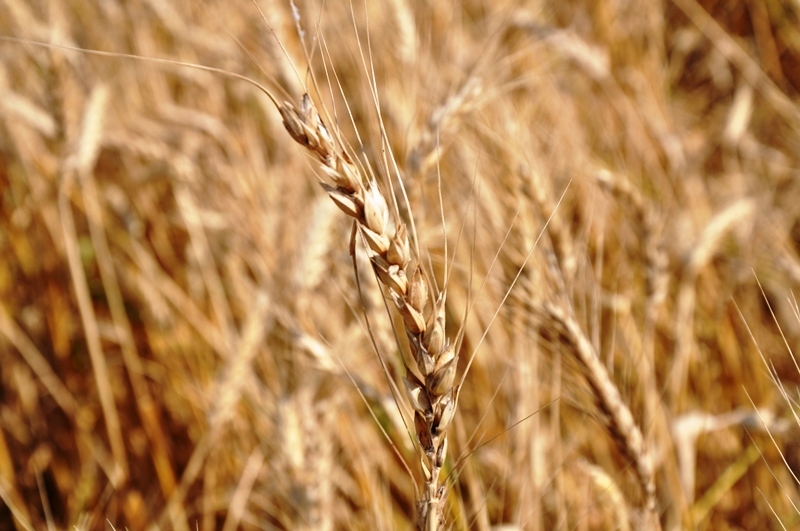 This was also home to Rebekah (Gen. 27) wife of Isacc and mother of Jacob & Esau. Haran would be Jacob’s home for 20 years (Gen. 28-29), where he married his wives and had 11 of his 12 sons (Benjamin later would be born near Bethlehem, at which time Rachel died). 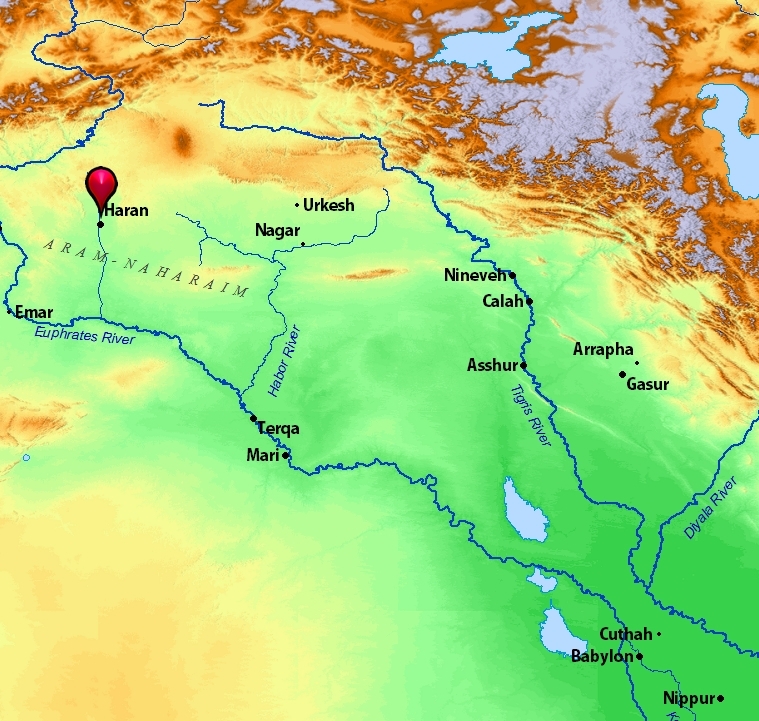 Location of Haran in Mesopotamia. 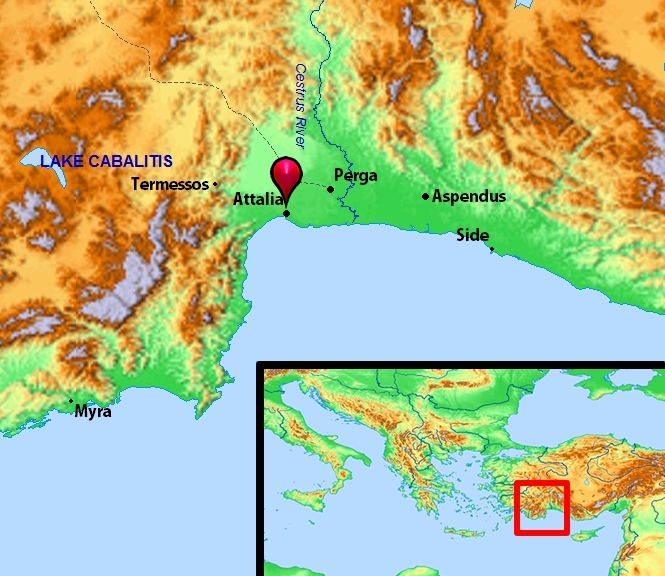 Map by BibleAtlas.org. By the 19th century BCE, Harran was established as a merchant outpost due to its ideal location. 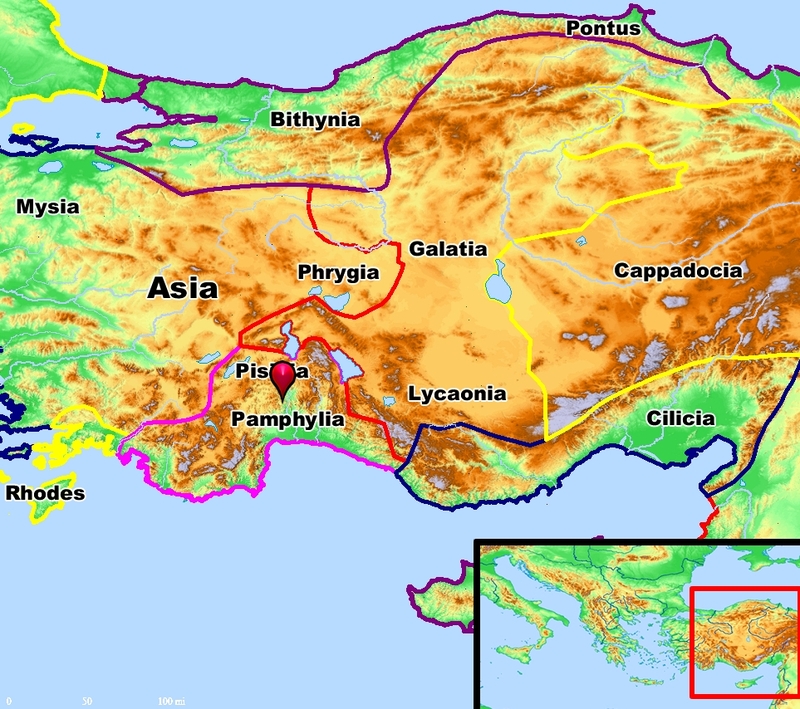 The community, well established before then, was situated along a trade route between the Mediterranean and the plains of the middle Tigris. It lay directly on the road from Antioch eastward to Nisibis and Ninevah. The Tigris could be followed down to the delta to Babylon. The 4th-century Roman historian Ammianus Marcellinus (325/330–after 391) said, “From there (Harran) two different royal highways lead to Persia: the one on the left through Adiabene and over the Tigris; the one on the right, through Assyria and across the Euphrates.” Not only did Harran have easy access to both the Assyrian and Babylonian roads, but also to north road to the Euphrates that provided easy access to Malatiyah and Asia Minor. 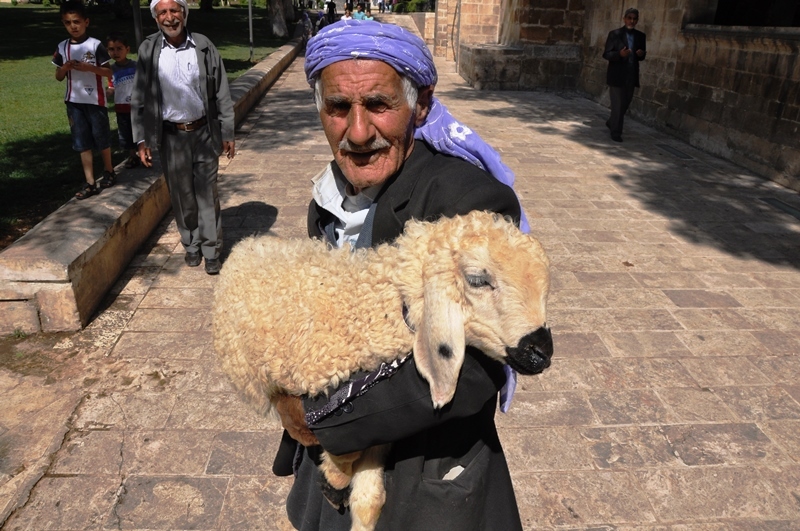 Harran was also an ancient center for worship for the moon god Sin. 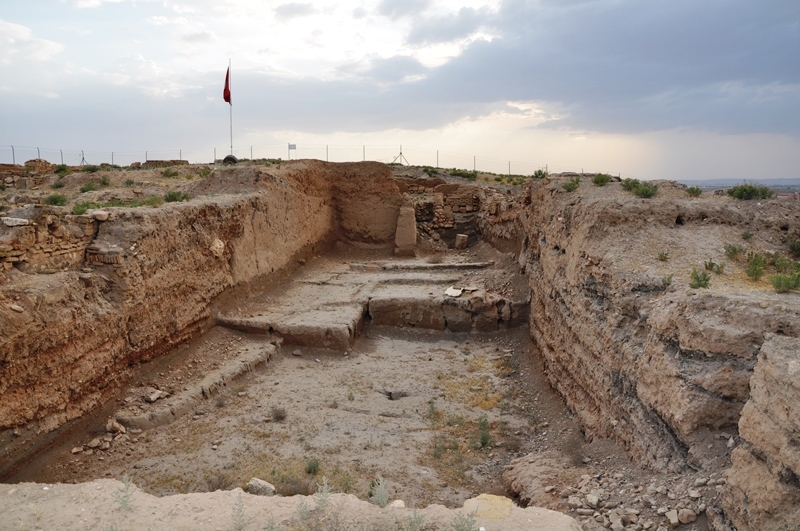 This excavated mud brick site has been suggested as the location for a temple for the god that predates the well known later temple. Haran Mud Brick Building. 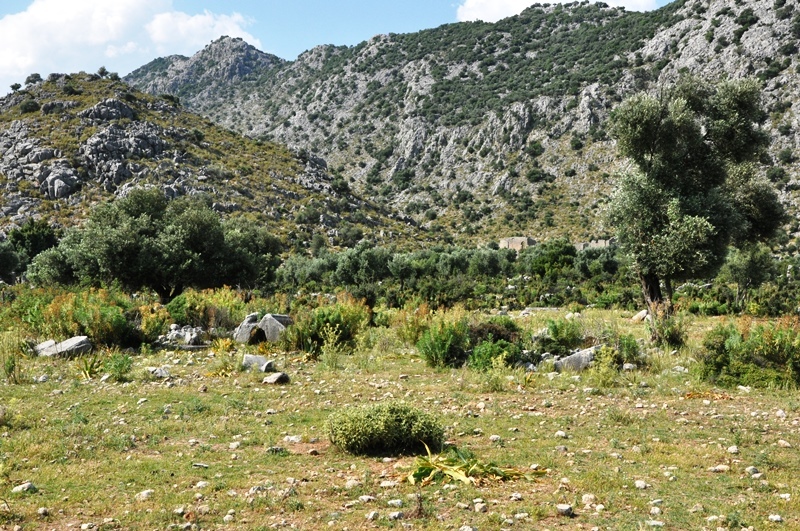 Proposed site of temple to moon god Sin. Photo ©Leon Mauldin. Our original flight this afternoon to Antalya was cancelled, which will result in a much later arrival this evening than previously scheduled. Those things happen when traveling. We are both well. Thanks for following our trip. You are currently browsing the Leon's Message Board blog archives for May, 2014.